The RCC large and small ballrooms are filled nearly every night with dancers! 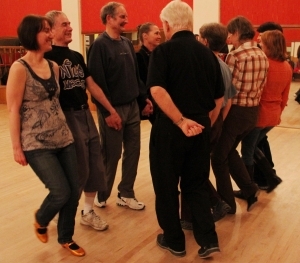 Dances are open to the public and there’s something for everyone – no experience required! You can also enroll in private dance classes with one of our participating instructors. Do you want to use the RCC facilities? Contact us for rental information and facilities availability. If you become a regular renter we would be happy to feature you here! 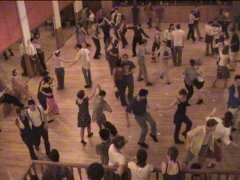 The Seattle Balkan Dancers present a public dance every Friday night, often featuring live music! No dance partner is required! Regular classes and teaching events are also offered. If swing dancing is your thing, there are two organizations sponsoring public dances on Mondays and Thursdays at the RCC. Classes are also offered on other evenings. 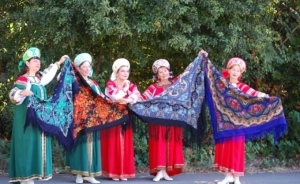 In 1998, Seattle’s Russian folk dance group “Alenushka” was formed, featuring women’s dances from many areas of the former Soviet Union. In 2015, co-founder Rena Lisikova reorganized the group which now stars talented youngsters! 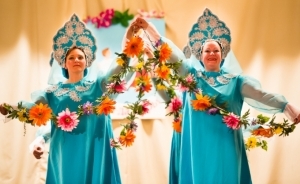 Their debut performance at the RCC was for the 2015 Day of Russian Culture. Look for information about upcoming performances on this page! If you are interested in Russian culture or the Russian language, one of these links may be helpful to you! Please note, these events or assocations are not sponsored or supported by the Russian Community Center of Seattle nor are the events below held at the RCC. This information is provided as a community service to you. International Community Health Services (ICHS) is a nonprofit community health center that offers affordable health care services in Seattle and King County. Russian-speaking community advocates can answer your questions. Go to http://www.ichs.com/ to learn more.